The durable line of Speck® performance pumps are designed to fit every project, and come in both in-ground and above-ground configurations. Speck pumps are durable, powerful, and reliable. Every Speck pump is proudly assembled and tested in Jacksonville, Florida. The Speck Model A91 above-ground and small in-ground pool pump incorporates many upgraded features expected only from larger in-ground pumps. The pump is self-priming, extremely quiet, and has an easy on-off, clear two-piece lid. Quick disconnect unions are provided for simple installation and maintenance. The Speck Model ES90 medium head pump has been engineered for durability and quiet performance. 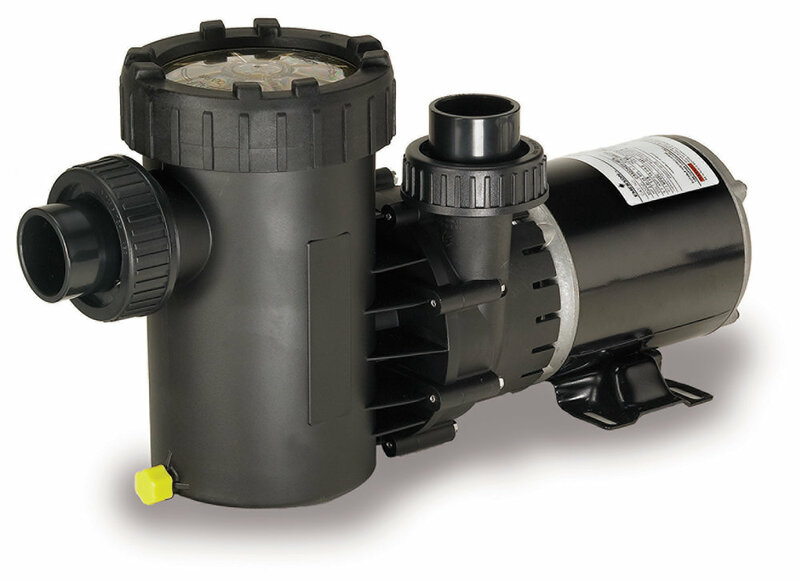 This all-plastic, self-priming pump with a large basket is ideally suited for small to medium in-ground pools. The Speck Model E71 medium head pump has been engineered for durability and quiet performance with economy in mind. The all-around pool pump with extra large basket, the E71 is ideally suited for above-ground and on-ground pools. For Speck® pricing and availability, please contact us.